I was fighting a Warlock who used L.J. and did not have the opportunity to figure out. I was wondering the following, all of which could be answered with the answer to the title question. Do effect such as Acidic Swamp Ooze and Harrison Jones destroy the 3/8 attack created by Lord Jaraxxus? Do pirates interact with the 3/8 attack as if it were a weapon? Yes, that counts as a weapon. 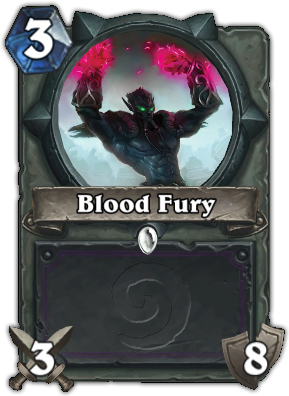 Specifically the weapon is a card named "Blood Fury." If the "weapon circle" is filled up, it counts as a weapon. Anything expressed in the format attack/durability is a weapon, the other effects that can give your hero an attack last a single turn and are just expressed as "x damage till end of turn"
Is there an effective counter to a hero's armor? How does the Hobgoblin buff work? Does Mal'Ganis' status effect apply in the 'Lead from the front' brawl? Does “fill your hand” count as “draw” in Hearthstone?